Transferring ringtones to iPhones from iTunes can be achieved by simply steps. However, for version 12.7 and later users, it might be a bit confusing at first since the syncing feature has been removed. The iOS App Store from iTunes has also been removed. But then, it is still very possible to transfer ringtones to iPhone. You know we always love to keep things fun here, so today we are going to show you 3 different ways on how to transfer ringtones to iPhone easily. Incredible isn’t it? We just want to make sure you find one that works for you. Before you continue, you’ll want to make sure all ringtone files are saved with .m4r extension, otherwise the transfer via iTunes will not work. Method 1: How to Transfer Ringtones to iPhone from iTunes (Early Versions)? 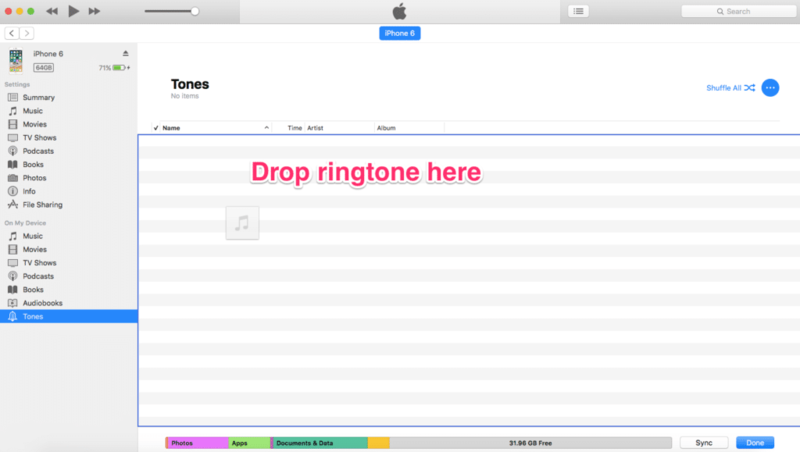 Method 2: How to Transfer Ringtones to iPhone from iTunes (Version 12.7 and Later)? Method 3: How to Transfer Ringtones to iPhone with iTunes Alternative? If you are using early version of iTunes, i.e., version before 12.7, you can follow steps below to transfer ringtones to iPhone from iTunes. Step 1Launch iTunes software on your computer. Step 2Using a USB cable, connect your iPhone to your computer. Step 3Tap your iPhone icon, select Tones to open the ringtones tab. Step 4The Sync Tones boxes should be checked. The boxes for the ringtones you want to sync should also be checked. Step 5There will be two options made available. 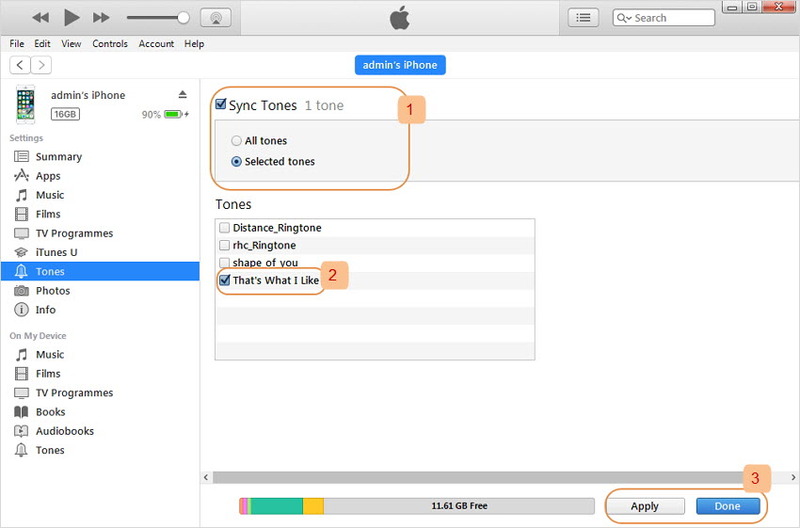 You should check All Tones if you want to sync all ringtone files, or check Selected Tones to choose desired ringtones to sync. 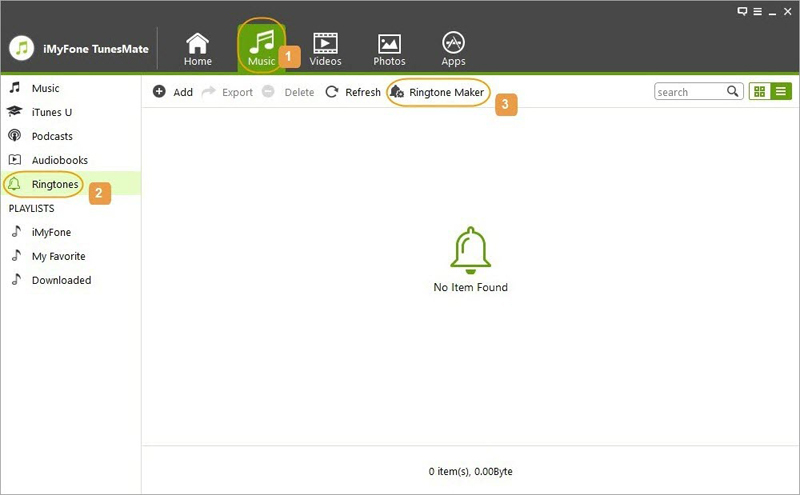 Step 6Tap Sync to immediately sync ringtones. If done correctly, the synced ringtone files should be displayed as ringtones on your iPhone. If you are using iTunes version 12.7 or later, you can follow steps below to transfer ringtones to iPhone from iTunes. Step 2Connect your iPhone to your computer (make sure it is identified in iTunes). Step 3Click on your device icon. 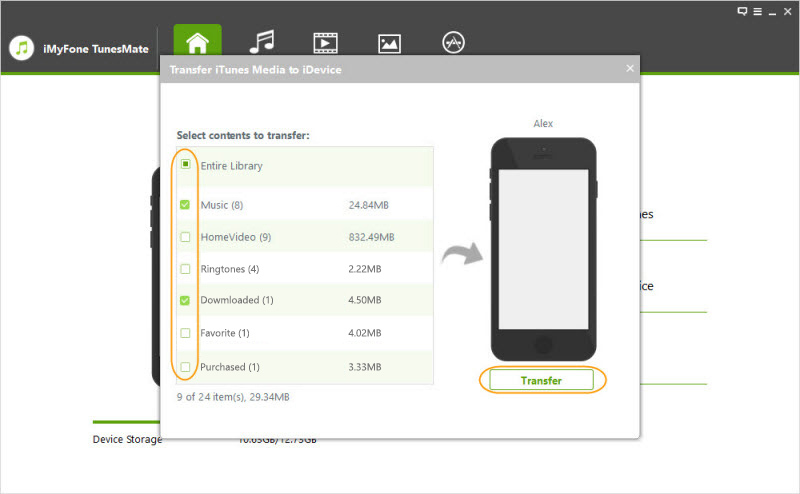 Step 4Find the ringtone file (.m4r) you want to transfer to your iPhone. Step 5Once you find the ringtone, drag it and drop it in the On My Device section. This will transfer the ringtone to your iPhone. Step 6If you don’t have the Tones section visible, once you drop the ringtone file, it will be created automatically, showing every ringtone on your iPhone. With iTunes limits and restrictions, plus the deletion of existing files when syncing, users have continuously complained bitterly about this and are searching for an alternative. 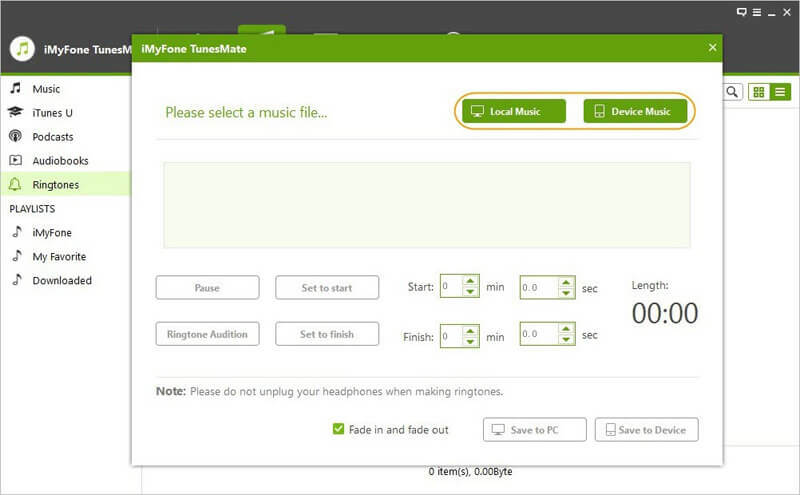 What better alternative to iTunes than the all-powerful iMyFone TunesMate. Popularly known as the best iPhone file manager. 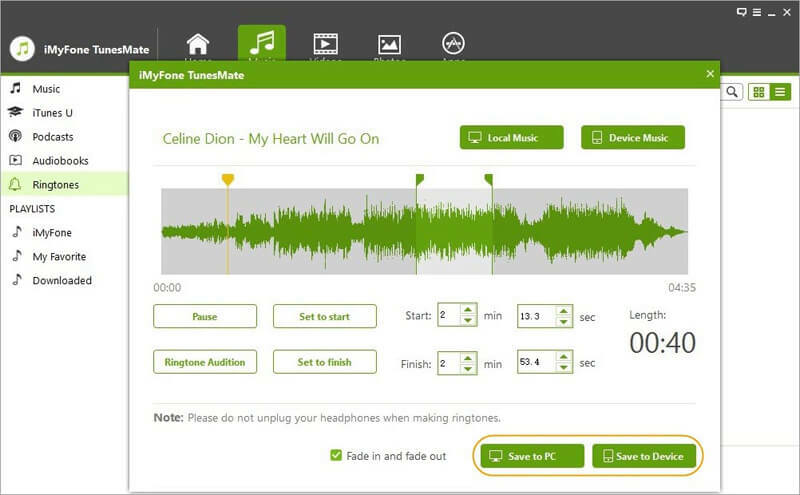 TunesMate supports the transfer of music, photos, audiobooks, videos, ringtones, playlists, podcasts between iPhone and computer for free. Gives you the option of previewing the ringtone you want to use before saving to your iPhone or computer. Permits the extraction of both purchased and non-purchased ringtones from your iPhone. You can also share them with friends. Allows you select a specific section of your choosing as you listen to the song you want to use as ringtone. Easily create .m4r ringtone from any audio format including mp3, wma, m4r, aac, ogg, m4a, etc. Seamlessly manage your playlists and music. Backup, extract, import, edit, add, delete, etc. Step 1Launch iMyFone TunesMate software and connect your iPhone to computer. Step 2Click "Transfer iTunes Media to iDevice" to scan all your iTunes library. 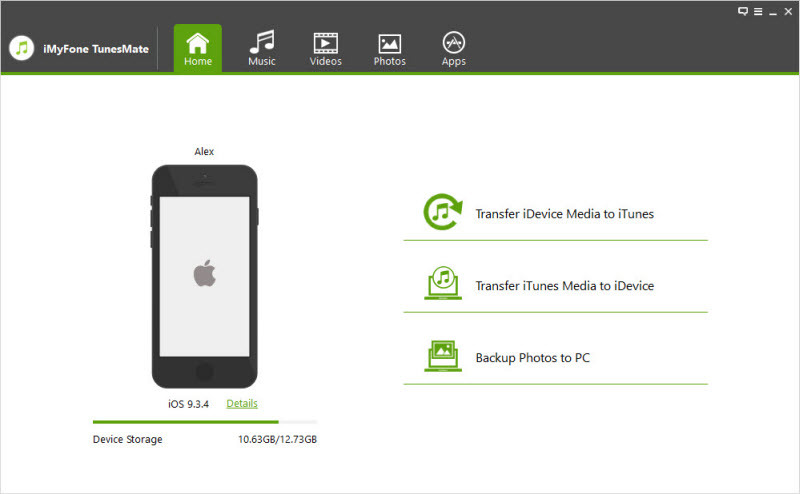 Step 3All iTunes media files will be checked by default. Choose "Ringtones" only and click "Transfer" to transfer ringtones from iTunes to iPhone. Click "OK" to conclude the whole process. Step 4When transferring process completes, click "OK" to conclude the whole process. Step 1Open the TunesMate software on your computer and connect your iPhone to computer. Step 2Click on the Music Tab, hit Ringtones, and then tap Ringtone Maker. Step 3Choose your favorite song from the Local Music or Device Music options. Step 4The selected song will begin to play for you to choose the start and stop time. Step 5Once it’s done, hit Ringtone Audition to preview. Step 6Select Save to PC or Save to Device to save created ringtones. Using one or all of these methods will help you transfer ringtones to iPhone. Now you’ve got zero need to fret as you now know how to put ringtones on iPhone without hassle. If you have any questions, please let us know. Or if any of the methods doesn't work for you, we can help out.